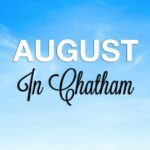 Spectrum News, May 19, 2018 The quaint town of Chatham is slowly becoming a foodie destination, and People’s Pub on Main Street is setting itself apart. Read the entire article. Discover Albany, Wednesday, May 9 A short drive south of Albany will lead you to the scenic Hudson Valley with many stops to explore including the area around the Hudson-Chatham region. Read the entire article.